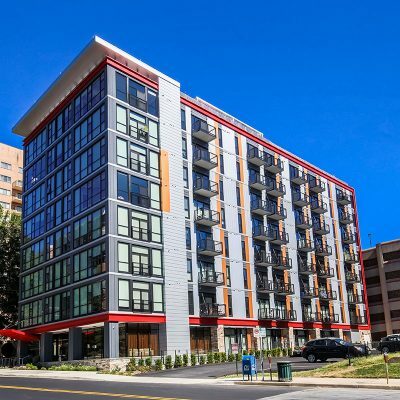 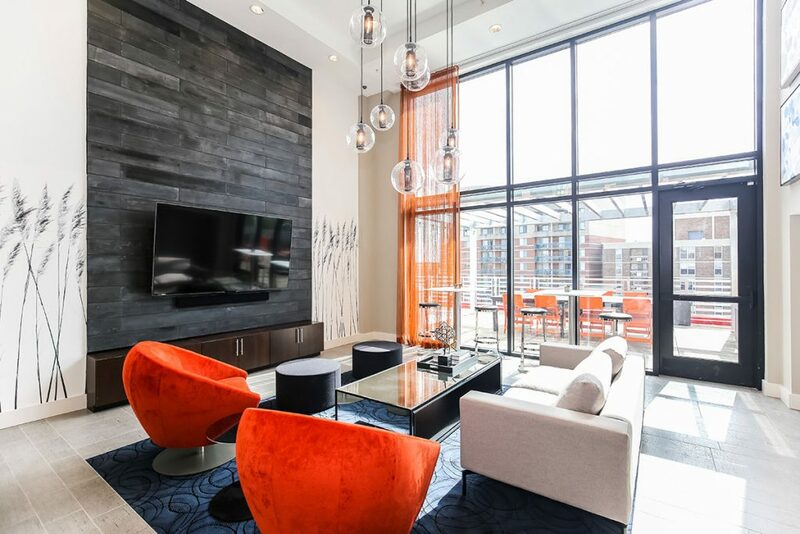 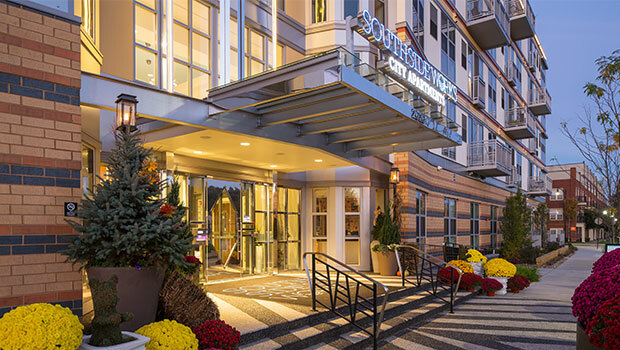 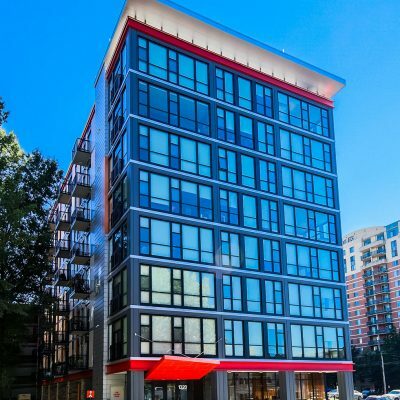 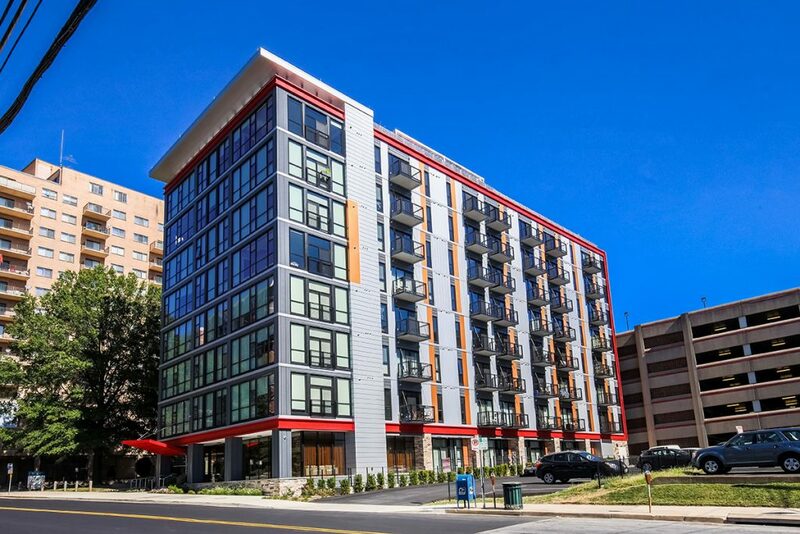 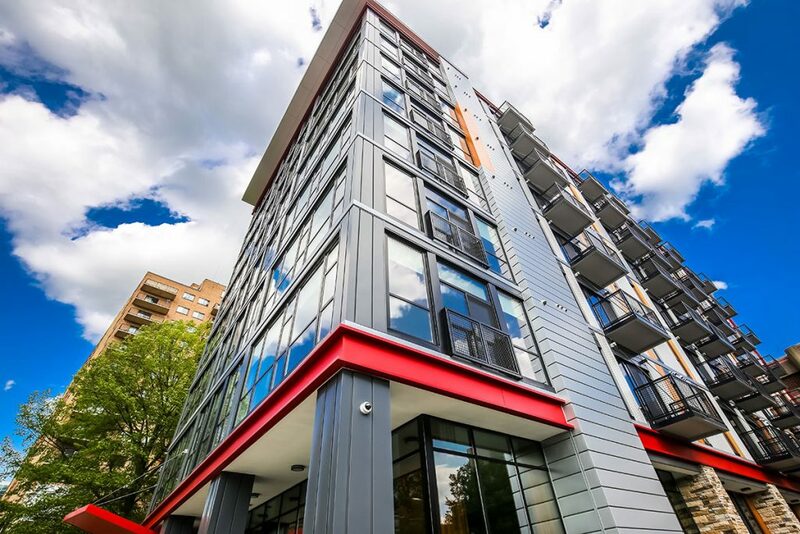 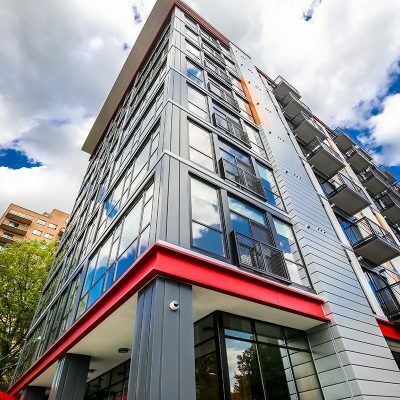 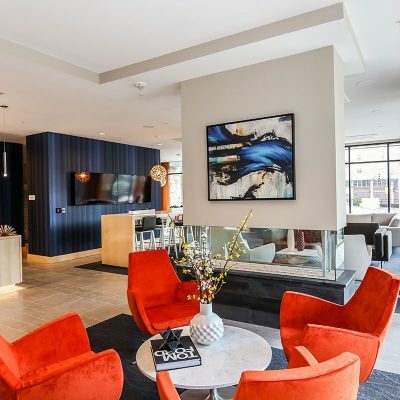 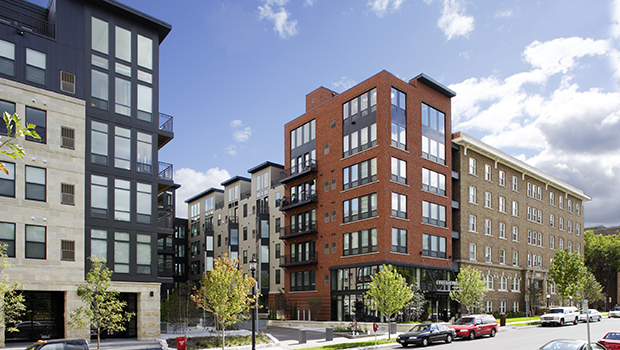 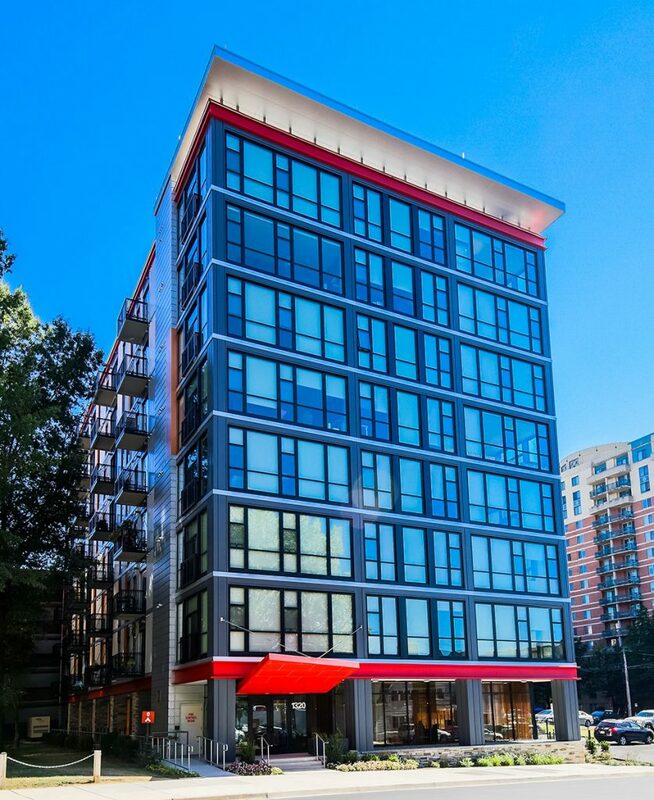 Located in a prominent, transit-oriented neighborhood in downtown Silver Spring behind a metro station, Octave 1320 transforms an existing office building into 102 condominium units. 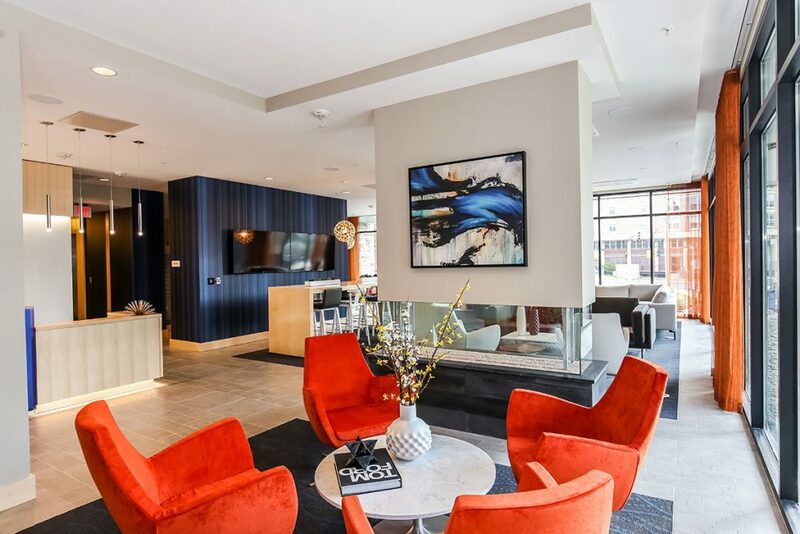 With flexible floor plans and a wide range of first-rate amenities, this community caters especially to first-time homebuyers. 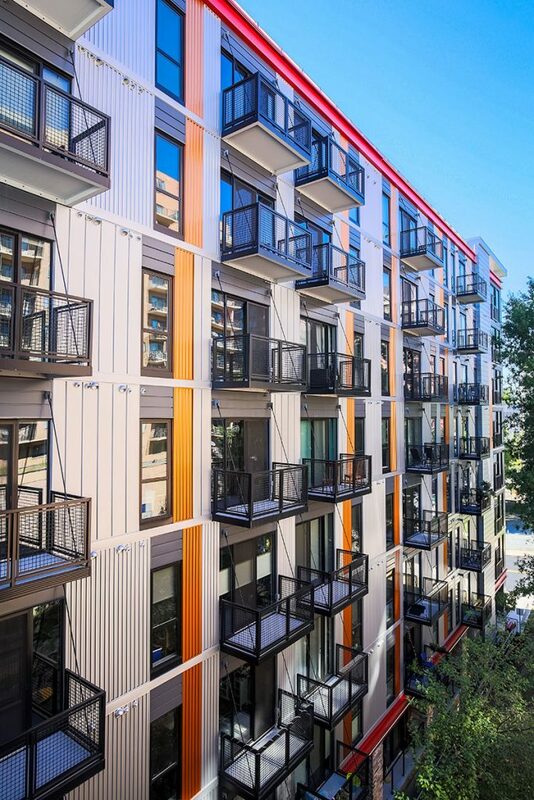 The majority of the one-bedroom residences in the eight-story building and addition are between 451 and 547 square feet, but the project also includes two-bedroom units. 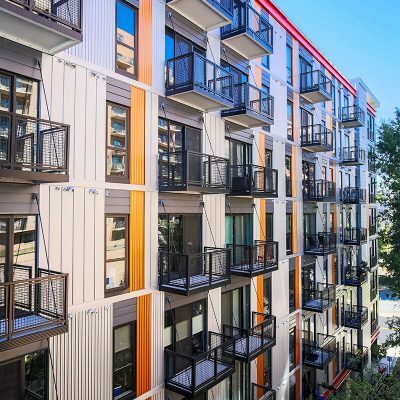 The smaller units keep the condos affordable for younger, first-time home buyers with active lives or who travel for work and may not spend much time at home. 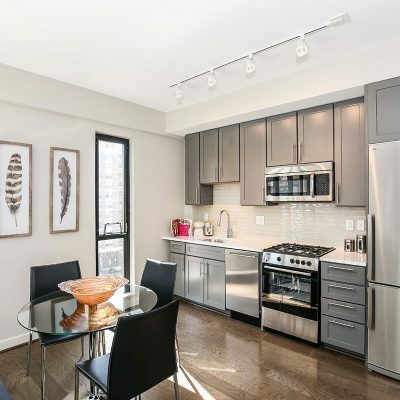 Each unit has an open floor plan with a kitchen connected to the living and dining area. 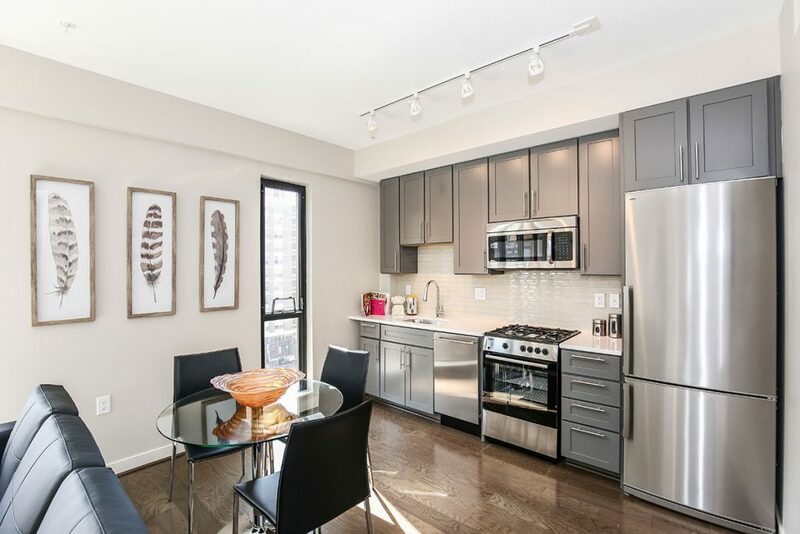 One-bedroom units have sliding barn doors that open the bedroom up to the living-dining area during the day for more space and then close it off for privacy at night. 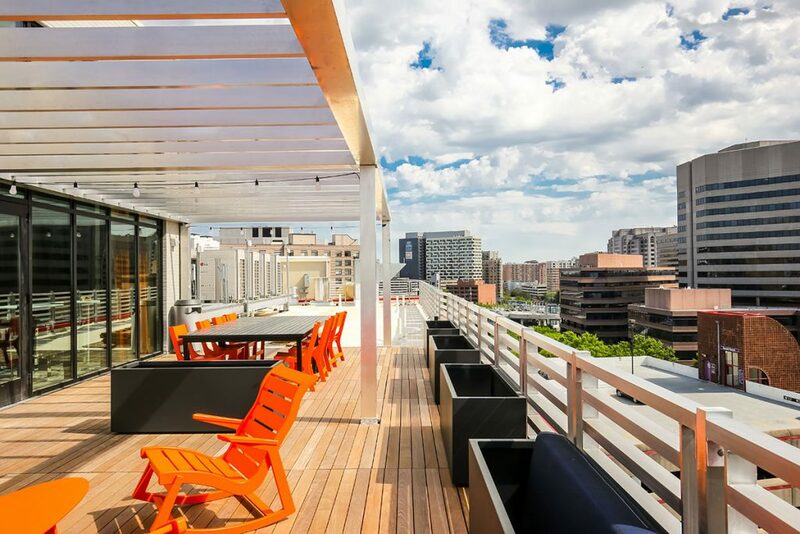 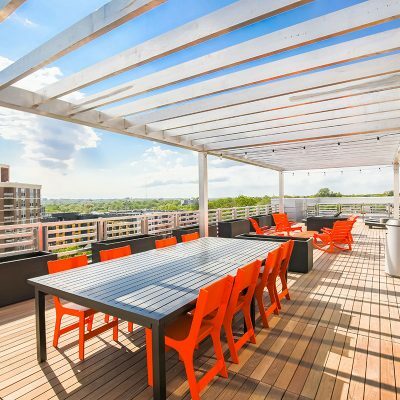 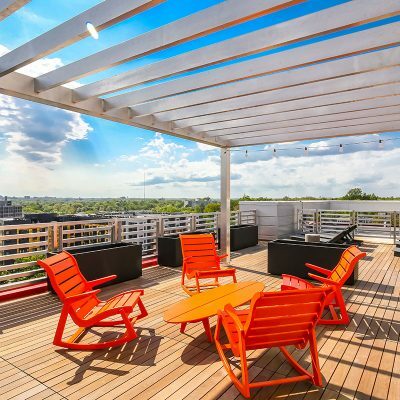 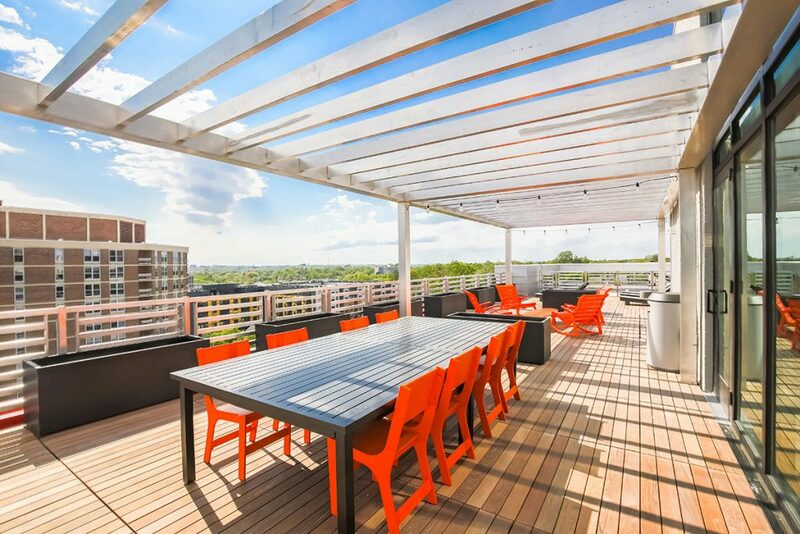 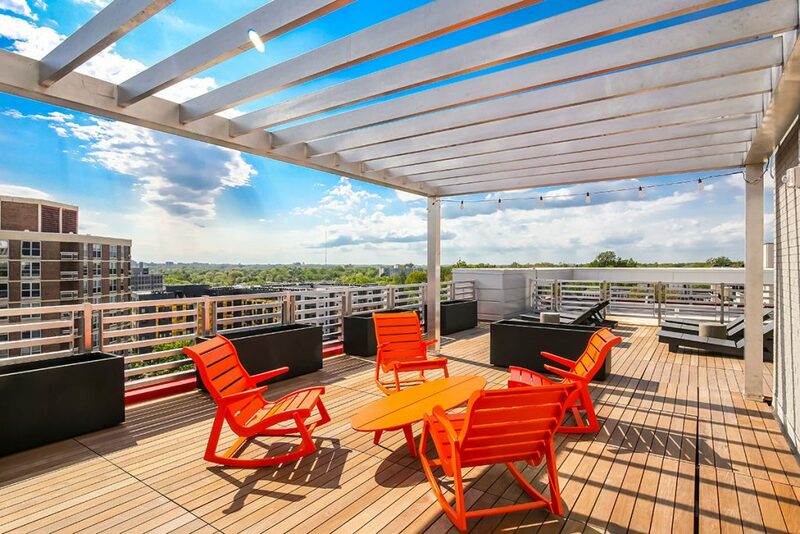 An enclosed rooftop lounge can be reserved for private parties, and the roof deck has views of Silver Spring’s skyline, surrounding tree canopies and downtown Bethesda. 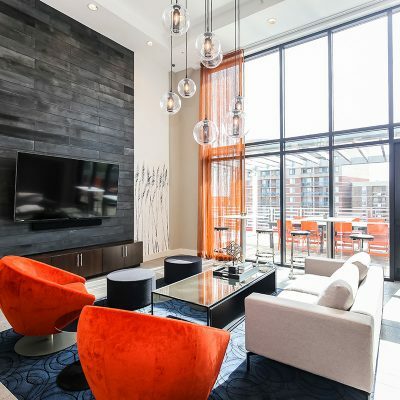 The building has a first-floor lounge as well as a bike storage room. 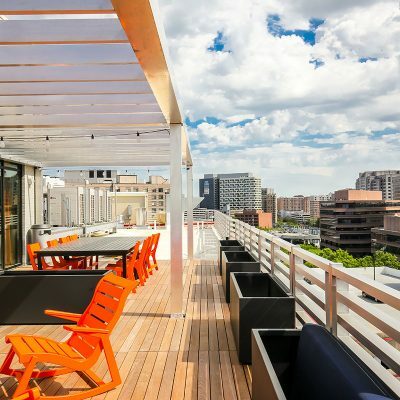 Other Project features include a rooftop terrace, exterior balconies, an interior courtyard, concierge services, and retail space on the ground level.